I was unprepared for the physical recovery from a DVT and PE. Before my blood clots, I was running half marathons, and I was in better physical shape than I had been for most of my adult life. I was admitted to the hospital through the emergency room with symptoms of pulmonary embolism, or a blood clot in my lung. I had a lengthy hospital stay of just over a week, and I was discharged with an oxygen tank and a wheelchair. Blood clots were the most painful things I have ever experienced in my life, and there were times I thought I would never feel better. 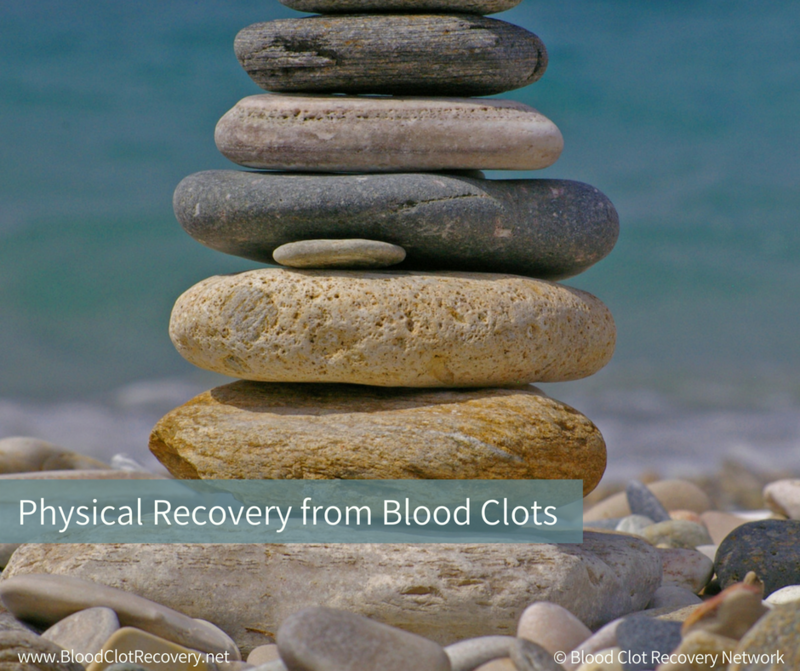 Physical recovery from blood clots is different for everyone. Most people fully recover from blood clots, but it can take time and patience to heal. My recovery was extensive – it took a couple of years – and I will be on anticoagulants long-term to prevent further blood clots. Recovery can take weeks, months, or years, and some people struggle with complications that last even longer. Below are my resources for dealing with physical recovery form blood clots. What does recovery form a pulmonary embolism look like? How long does it take to recovery from a pulmonary embolism?